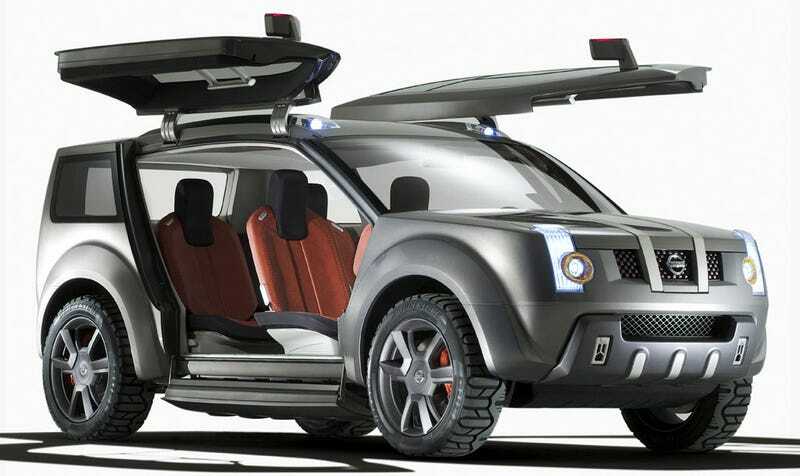 This is the Nissan Zaroot concept from 2011. This is the Nissan Zaroot concept from 2011. I live in the universe where it was built as a production car, exactly as you see it here. We all drive Nissan Zaroots now. It’s awesome. Get on my level. In this universe Bruce Vilanch is president as well.